Mission. Vision. Values. How many of you hear these terms and immediately think of Charlie Brown or Ben Stein’s character from Ferris Bueller’s Day Off? If your first thought is “wah, wah” or you stare blankly into space, then there’s a good chance your organization’s key messaging, or your mission, vision and values, is missing the mark. So what, you say. It doesn’t matter anyway, right? Wrong! Key messaging is more than just words on paper or a few clever sentences cavalierly thrown around in boardrooms and investor meetings. It’s the very foundation of your company culture. Without it, it’s a little like running around in the dark with knives. And no one wants to be a part of that! So, what can communicators do to ensure that key messaging is both stimulating and sound? Here’s a look at the nuts and bolts of compelling key messaging. First, a quick gut check. How many of you can recite your company’s mission? Go ahead, take your time. We’ll wait. We’re betting at least a few of you grabbed your dusty ol’ employee handbook and thumbed through it looking for that elusive mission statement. Or maybe you clicked on your company’s homepage and looked for it buried somewhere in the footer content. Our point is that many employees don’t know their organization’s mission. In other words, they don’t know what purpose the company serves. It’s a shame, really. Why? Because there’s a direct correlation between connecting to the purpose of your work and your level of satisfaction and engagement. In fact, a study published in the New York Times found that employees who derive meaning—or purpose—from their work are more than three times as likely to stay with their organizations. They’re also 1.7 times more satisfied and 1.4 times more engaged. We think we’d all agree that it’s kind of hard to connect to a purpose if it doesn’t exist or isn’t well defined or known. That’s why having a succinct mission that clearly defines your current shared goal is so important. Notice we said current. That’s because a lot of companies write a mission statement, put it on a shelf and forget about it. Think about it. When’s the last time you participated in reviewing or updating your mission statement? For that matter, when was the last time you heard of anyone in your organization looking at it? What’s even more important, though, is actually communicating and acting upon your mission. Words on a piece of paper are just that—words. For your mission to have an impact, it must become a living, breathing part of your daily work. Make it meaningful, credible and specific. Avoid impersonal, water-downed, trite language that carries no meaning internally or externally. Write it in simple, straight-forward language. Remember the KISS (Keep it Simple, Stupid) method when drafting your mission statement. A clearly defined mission tells your employees what the company goal is and how they can go about achieving it. Connect with people’s hearts. A good mission statement transcends how a person thinks and, instead, zeros in on how a brand makes people feel. Connect first with the heart, then the head. While you’re drafting your mission, it’s important to think about what you aspire to be in the future. Your vision is your forward-looking statement of what you want to become. A vision may seem almost unattainable at times. But keep in mind that it’s your stretch goal. Something that, if you do all the right things and make good business decisions, you can achieve over the long-term. By when do we want to do it? Answering these questions will allow you to think outside-the-box and paint a picture of what you see the organization achieving in the coming years. As you begin to write or revamp your vision statement, be sure to use clear language that’s memorable, aspirational and aligns well with your organizational values. Speaking of values, let’s tackle these next, as they serve as support pillars for your mission and vision. An organization’s values may be the single most important—or valuable—aspect of your key messaging. That’s because in an ideal world your culture will be built upon and reflect the 3-5 core values that your leaders hold near and dear to their hearts. Organizational values are the internal guiding principles that influence all decision-making. They create a moral compass for employees to follow as they perform their daily activities and make decisions to move the business forward. Values are often paired with a code of ethics that helps people put the values into practice. Values are frequently established very early in an organization’s lifespan. And they tend to remain fairly stable over time. This is particularly true for start-ups. Executive leaders at new companies commonly come to the table with some sort of culture in mind. Generally, it’s derived from how they’d like to see the organization run. In some cases, they’ve given it a lot of thought and may have even baked their cultural values into their business plan. In other cases, they’ve planted the seeds and just need a little help nurturing them. This is where an organization like IronStrike can help! How will we conduct ourselves with peers, colleagues and customers? What words will we use to describe our services and/or what sets us apart from our competitors? How will we act as a “one team” and deliver the best customer experience? One final point, here: Mission and vision are what you do, while core values are the how you’ll do it. Combined, they’re a launchpad for your brand positioning and internal and external key messaging. Once you’ve nailed your mission, vision and values, it’s time to move on to the brand positioning. This is the conceptual place that you want to own in your target audiences’ minds. Your key differentiator. And it needs to be a good one, folks! Brands that can’t or don’t differentiate themselves from their competitors will lose. It’s not enough to say you’re as good as the next guy. In today’s world, you need to show how you’re better, more cost-effective, faster. That, or you must stand for something bigger that people can identify with. This last point is especially true for organizations that are largely targeting younger audiences. Research shows that millennials and Gen Z individuals have less brand loyalty than older generations and prefer more personalized messaging from the brands that they choose to engage with. What’s more, as much as 70 percent of millennials say they’ll spend more on brands supporting causes that they care about. 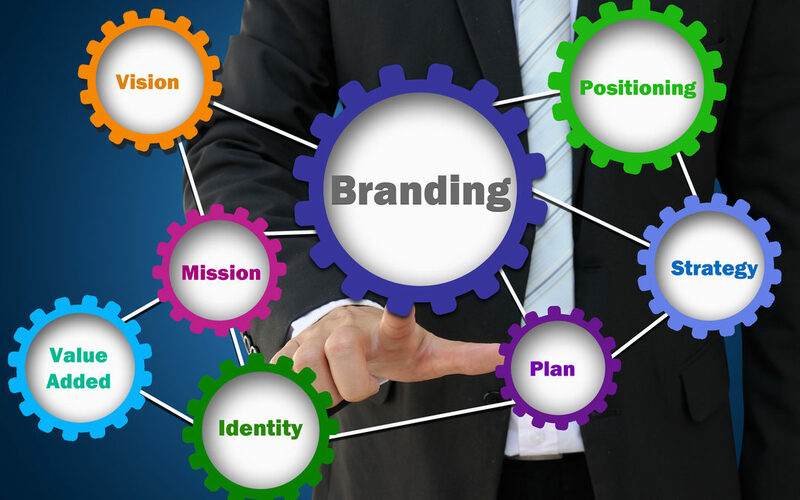 For these reasons, it’s becoming increasingly more important to position your brand well and consistently deliver against your brand statement. So, what’s a brand statement anyway? And how does it differ from your brand position? Think of it this way: Your brand position describes your brand’s unique competitive difference that makes your brand statement compelling. And your brand statement is your promise—or the benefit you provide—to your customers or clients. Your brand statement codifies your mission, vision, values and position into a single statement that defines what you do, how you do it (differently, of course) and what your pledge is to those you serve. And while your mission statement is more internally focused, your brand statement should reflect what you want your external audiences to think and feel about your organization. This statement is what guides your brand identity and should serve as a driving force in holding employees accountable to deliver an outstanding, consistent customer experience. One of the best examples we know if comes from a leader in courier services, FedEx. The delivery giant’s current brand positioning is to be a “pioneer/category leader for overnight delivery” and its brand promise is “the world on time.” Those are some big shoes to fill for its closest competitor, right? And it isn’t all that far off from the company’s 1979 declaration that it was the only choice “when it absolutely, positively has to be there overnight.” We think this is a good example of a brand promise that has evolved and adapted over time yet continues to serve as a guidepost for the type of experience customers have come to expect from FedEx. While writing this post, we came across a simple template from the Branding for Dummies book that we thought might be helpful. Feel free to use the following to get your creative juices flowing! [Your name] promises [your target market] that they can count on us for [your unique attribute or benefit] delivered with [information about the character, voice, and mood you convey]. Last, but not least, are your core external messages and associated proof points that are a vital part of your key messaging. These are the primary messages and the points that support—or validate—your overarching brand position and statement. We encourage clients to draft several key messages and associated proof points and then narrow them down to a handful of primary messages that all employees can use. There are some instances where we also recommend communicators create sub-messages that are nuanced differently to resonate better with multiple audiences or disparate constituency groups. Regardless of how many messages and proof points you have, the more specific they are, the better. So, include numbers or statistics whenever possible and look for scenarios where you’re better than your competitors or industry averages. For example, if your business is a call center and metrics show that your customer service representatives consistently answer calls within 10 seconds, then say it. And being able to say you’re 10, 25 or even 50 percent better than the industry average is icing on the cake. Same goes for pricing. Who doesn’t love hearing that you can save them 30 percent on their purchase? Unlike your mission, vision and values, these core external messages and associated proof points are more likely to change over time. Now, we’re not saying you need throw the baby out with the bath water every six months. Instead, we’re encouraging you to keep an eye out for proof points that may give you an even bigger competitive advantage. In other words, don’t get too comfortable. Continually scan the internal and external landscapes for opportunities that set you apart. The best times to revisit key messaging are when you add or eliminate products or services, revise key performance indicators, go through a massive growth or layoffs, merge with another company or have a shift in leadership/mindset. In fact, those are often the times when IronStrike steps in to support organizations and companies—and calibrating key messaging is one of the first things we do. Rock-solid key messaging should be the cornerstone of communicating your organization: who you are and why you’re different from the competition. It’s what guides internal and external decisions, unites employees and, ultimately, defines your brand. You simply can’t afford to wing it. If you need help crafting key messaging that will get more than just a slow blink and crickets, send us a note!